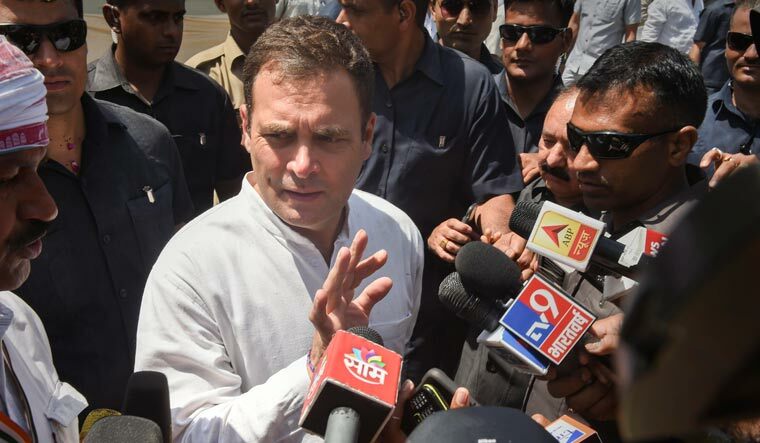 The Supreme Court on Monday issued a notice to Congress chief Rahul Gandhi asking him to explain his statement that the apex court had said “chowkidar chor hai” in its recent verdict on the admissibility of certain documents related to the Rafale deal. Gandhi had coined the phrase to target Prime Minister Narendra Modi, whom he accused of acting illegally in the deal to buy 36 Rafale jets. The Supreme Court bench, led by Chief Justice Ranjan Gogoi, issued the notice when it was hearing a plea from BJP MP Meenakshi Lekhi, seeking contempt of court action against Gandhi. The bench comprises Chief Justice Ranjan Gogoi and Justices Deepak Gupta and Sanjiv Khanna. Mukul Rohatgi, who appearing for Lekhi, told the bench Gandhi had claimed, the “Supreme Court said chowkidar chor hai”. Gandhi had purportedly made the remark when interacting with journalists in Amethi on April 11 after filing his nomination papers.